We just couldn’t resist the temptation of sharing you the first pictures of our new, raw baby – the OMG! 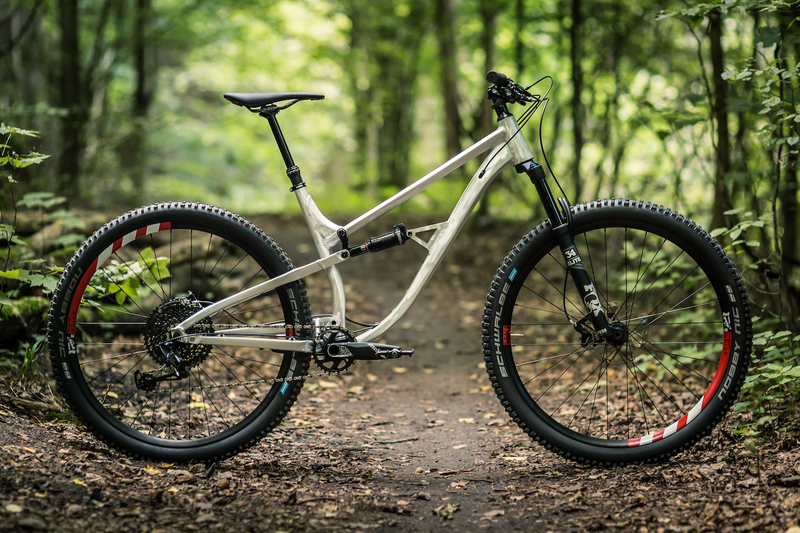 The new full suspension 29-er from Octane One is still in the (advanced) development stage and will hit the market in spring 2019. This sporty trail slayer’s heart is our brand new alloy frame built around a four-bar suspension system with Horst link. The OMG’s suspension has got very good kinematics – it’s sensitive in all the travel range but doesn’t bottom out easily. The bike will be available in 3 sizes: S, M and L. The geometry will be up to date with the “long, low and slack” mantra. Don’t be fooled by the sample bike’s specification – we plan too keep things more economic and hit the market with an RRP below €2000. That obviously doesn’t mean compromising the functionality and the fun factor of the bike (dropper post included). Stay tuned for more info about the OMG, which will be published in the following weeks! Grinding gravel with the Gridd! (de)Kode your day with Octane One!